Melt the butter in a 8-inch non-stick pan over medium low heat. Add the mushrooms and a pinch of salt. Saute them untill they begin to turn golden brown. Remove the mushrooms from the pan directly onto a serving plate. You do not need to scrape the pan clean yet. Mix the egg, cream and oil together very well. Pour the egg mixture into the pan and scramble the eggs. 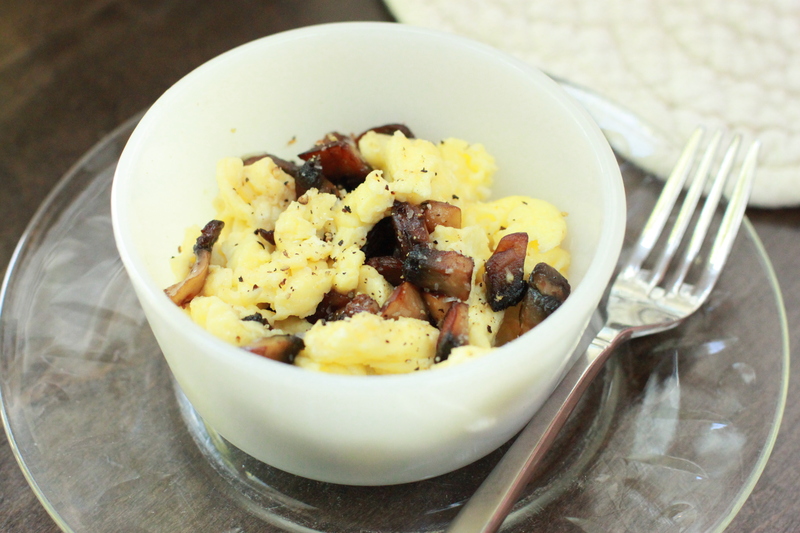 Add the cooked eggs to the mushrooms and scrape all of the remaining oil from the pan onto the eggs.